Chris and her new “forever pony”, Naseebah. 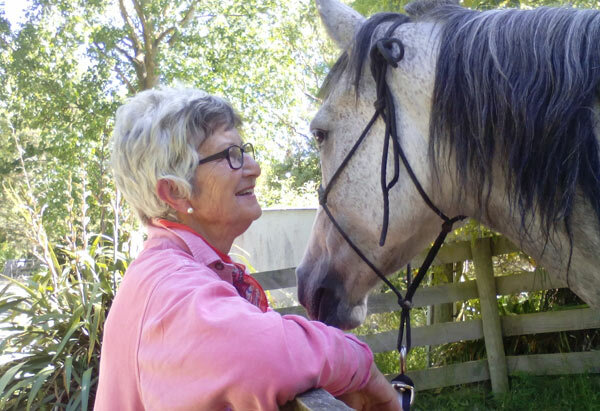 Chris describes the pair as “treasures”, and Naseebah is to be her “forever pony”. Naseebah is 95.3% Crabbet and is by our pure Crabbet stallion, Silver Omen. Her dam is Dell Nameera, one of several full siblings bred by the late Brian Ross. Many from this line have gone on to successful endurance and performance careers. Naseebah’s dam Dell Nameera is by Dellmount Sudani (Ralvon Pilgrim x Dellmount Shahzar [Iliad]) and out of Dellmount Nafisa (Ralvon Pilgrim x Libanah [Othello]). Aurora Kassanova with his new owner, Alice King. 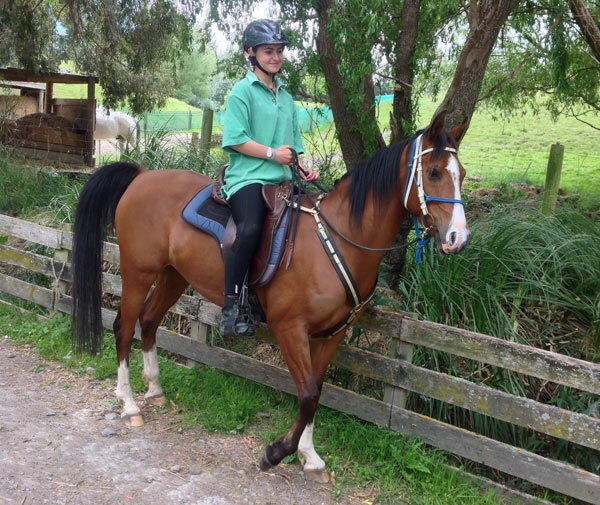 Alice King, who is 15 and on school holidays, is wasting no time in getting to know Kass, whom we know will give her a wonderful ride. Kass is 83.05% Crabbet, and also by Silver Omen. He is out of Woodlau’s Koa, who had three foals for us before going back to Woodlau Farm in Canterbury. Kass’s full brother Kool Kat is with Mid-Canterbury endurance rider Adena Middleton, and in September “KK” pair completed his first 80km ride at Mayfield. Koa’s dam Taralea Amreika is by The Ambassador (by the Polish sire Ambition) and out of Taralea Rasheika, also by Ambition. Naseebah (Seebie) and Chris King on their first ride at home.